Thanks for being "down" with Down syndrome Nordstrom...! As I turned to page 72 of Nordstrom’s Anniversary Catalog I was happy to see smiling back at me an adorable boy sporting a stylish leather jacket. He was very fashionable, very cool, very hip…and he has Down syndrome. With so many organizations (like GQ Magazine) printing and promoting ill-informed views, and false facts about Down syndrome, I’m grateful for companies like Nordstrom that understand and embrace the truth that people with Down syndrome are not “ruined,” by any means! Rather they are 100% complete. Lacking nothing. (In fact, they even have a little something extra.) Oh, and as you can see…are very fashionable. I must confess that it wasn’t until after Noah was born that my eyes were open to the lack of inclusion of those with “special needs” in our modern society. 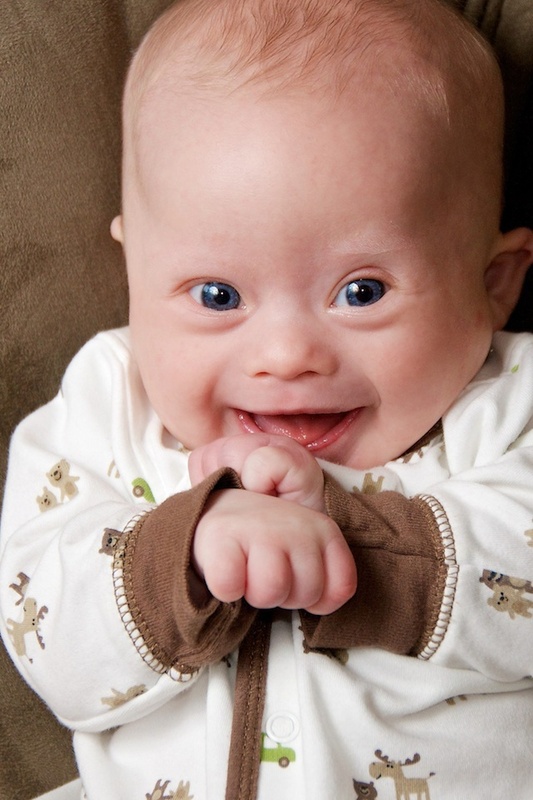 I often joke with my wife when we’re in Babies R Us that I’m going to ask someone, “Hey, I noticed that none of your advertisements have any pictures of babies with Down syndrome in them. How come?” I’d wait about five seconds before I told them I was just joking around (sort of.) The awkwardness would be priceless! On a serious note I applaud organizations like Nordstrom, and shows like Glee that do a great job of helping to educate the public that Down syndrome is ok.
That people with Down syndrome deserve to be included in every single area of life. That they just as much of a human as you or I. That you don’t have to be talk down to them. That they like to play. They like to have fun. And yes, some of them even like to model. I have Down syndrome, not the swine flu! They like to do all of the same things that any other person on this planet likes to do. They don’t need to be “babied” or treated like they have some sort of strange sickness. People often tell me they praying for Noah, and most of the time I love that! We can use all the prayer we can get. By the way, thanks Nordstrom for showing the world that inclusion, not exclusion is important. I saw that Babies R Us also uses Down syndrome models…but only in their “special needs” toys catalog. If you were to “take away” Down syndrome you would take away our son. He would have a completely different genetic code, thus being a completely different person. So pray for him to behave, pray for him to come to know God through Christ, pray for him to develop into everything God has created him to be, pray for him to be loving, and kind, and pray for the small hole in his heart to close up before we go back to the doctor. But please don’t pray for him to be “healed” of Down syndrome. I hope and pray that more organizations will use a slice of their time, energy, resources and platform to showing the world that people with Down syndrome are as fully human as any other person on this planet. What other companies have you seen that do a great job at this? Yelp, I agree with you on all accounts! So true. Too bad the producers of the movie, “The Change Up ” were so insensitive to children with Developmental Disabilities. People should boycott such a movie. Babies r us has has ads with our guys just very long ago I guess as has toys r us. Just glad to see any ad with our special kids! Thanx for sharing! Really…?! Was it their regular, goes-out-to-everyone, catalog? Or the “special needs” one I talked about? This is wonderful!! Way to go Nordstrom. Also, Toys R Us does publish a catalogue for toys that are appropriate for special needs kids. Yes, I know. I mentioned it in my post. However, I’d really like Toys R Us to follow Nordstrom’s lead and include children with Down syndrome in their “normal” catalog as well. I remember in the early 1990s there was a model with Down syndrome we knew in a Nordstrom newspaper ad and catalog around the same time I was contacted to call moms of several new babies born with DS. It made such a difference to those families – and me, too – to know a quality store like Nordstrom recognized the potential and attractiveness of our children. My son has been a big fan of Nordstrom (and vice versa) from his early days when store employees at their Bellevue Square and Southcenter stores would make over him while my friends and I shopped there. They have always had the most knowledgeable sales people in their shoe departments and we never missed their children’s shoe sales – both he and his sister benefitted from that! Of course, those sales happily coincided with the adult shoe sale. My son especially loved taking a break at Nordstrom cafes, especially in his teen years when his sister and her friends would shop while we stopped for *at least* a cup of coffee and one of their amazing macaroons. I cannot fail to mention that company has sponsored the Nordstrom Beat the Bridge to Beat Diabetes event that benefits the Juvenile Diabetes Research Foundation since the year he was born. I know Nordstrom employees put in a lot of volunteer time for Beat the Bridge, too. He developed diabetes when he was seven years old and that was a fairly scary transition for him to make. It was so good for all of us to find a friendly name attached to his new life with diabetes; I believe he still has a t-shirt we picked up at the store that he has kept all these years because of course they made a big production out of his participation. We always had to walk over to the men’s fragrance department because he felt especially welcome there. I don’t know why I am writing in the past tense here – he is always up for a trip to Nordstrom. His sister and I were just shopping there yesterday and had a nice lunch in the cafe, where I reminded her of these same stories. I was searching through the archives of the down-syn list earlier and found a message I wrote in 1994: “a local store here, Nordstrom, features models with DS” – and wonder if I had mentioned another local business, Starbucks, where he learned all about how to make a good cup of coffee. My son has also been a long time fan of GQ magazine – and I bet there are many, many people associated with that magazine who are just heartsick over the remark that recently shocked and angered all of us. It’s so great to remember that people with Down syndrome of all ages find friends, supporters and advocates everywhere. Thanks for reminding us that Nordstrom appreciates customers with Down syndrome and their families. It sounds like you guys have a blast at your house! By the way, it looks like you have a ton of great facts and information on your blog! I need to come spend some time checking them out! I’ve loved Nordstrom for a lot of not very noble reasons, beginning with their very first store in the Chicago area. But this is really terrific! I agree with Brianna: using the model with Down Syndrome as just one of the kids says a lot about someone’s sensitivity or marketing savvy (or both). Nordstom is stylin’ – I love that they show beauty in ALL people! I agree! Big thumbs up to Nordstrom! Yeah Nordstrom and thank you!….. making the Pacific Northwest proud! I could have used a little less “toddler” from Seth today. He gave Emily and me a run for our money. But, you are correct, asking that my son be healed of Down Syndrome is like asking for a typically developing child to be healed of his personality. It’s who they are. I certainly know God could change Seth’s genetic code if he desired, but I’m convinced he placed Seth in our lives just the way he wanted him to be. By the way…I have wished that God would change plenty of kids personality..I’ve met some means ones. About the genetic code…I suppose it’s sort of like could God make a rock so big He couldn’t move it? sure He could, but would He…? He could do anything, but I’m almost certain He wouldn’t create, and then un-create (change a genetic code). If so, Seth wouldn’t be Seth as we know him. He’d be a different Seth. However, I’m not 100% on any of this, it’s just where I land now. I’m always open to learning and studying more. Target uses a couple of little ones with designer genes too (I know one… her name is Gabby and super cute). Regarding clothing… I wouldn’t mind finding clothes that fit my son a bit better. I end up rolling up sleeves multiple times because if the sleeves fit, the shirt barely reaches his belly button (long torso, short arms). See? There’s a market for this stuff. (but I agree about putting kids with disabilities in the “regular” toy catalog). Jennie…that’s cool about Target! I actually had a few people tell me about them since posting this. If you ever come across any good example, please pass them on to me. I’d like to see them. I actually agree with you on the toys and such. I like knowing what’s good to help with certain developmental areas. I guess I’d rather see one catalog with maybe little icons to help know what area a certain toy works on. All children, not just those with Down syndrome, can befit from knowing about different developmental areas, ya know? Pam, thanks! I also posted this in my post. It’s the first link. Sounds pretty cool..I’m always up for checking into new things. Feel free to send me the info! So, I know this is off-topic a little, but please humor me. If taking away Noah’s Down syndrome would take away who he is, then what’s your perspective of heaven? Do you think Noah will have Down syndrome for eternity or just his life on earth? I know you aren’t asking me – but I sure hope my daughter has Downs in heaven – it’s who she is. And I can’t believe that God made some huge mistake when he made her. I think Downs is this world’s problem, not God’s. I like this question….and I get asked this sometimes about my son. My feeling about him is that he is so amazing….he is so tender, so funny, so full of joy and love…and not to overlook he is also very smart (very!). My secret hope is that we all have Down syndrome when we get to Heaven. I agree with the other commenter on this question….I don’t believe God made a mistake with my son or that he would be better if he didn’t have Down syndrome. He is the happiest and sweetest person I have ever met. @Shannon, that’s a great question. But a bit long for the comment section. Perhaps I’ll write a series of posts on that some day. Long story short…I don’t know for sure. But I also don’t know for sure what you and I will be like in Heaven. We have to remember that Down syndrome isn’t like the flu, or a cold, or something. Down syndrome isn’t something Noahs “has” in that regard. We have to remember in the Bible there is a difference between “curing” and “healing.” They are different words, and have different meanings Biblically I’m not to sure Down syndrome is something that needs to be “cured.” However you, and I, and my son (with Down syndrome) and everyone on this planet needs healing…and will be healed in Heaven. If Noah looses his leg in a tragic water ballon accident, I’ll pray for his leg to be cured…and I’m sure it will be healed to perfection in Heaven. However, Down syndrome is all together different then any of that stuff. It’s his entire genetic code. You take that away, you take him away..he’d be a different person. We have to remember that when we say someone is “different’ or “special” or “disabled” we are comparing them to us. 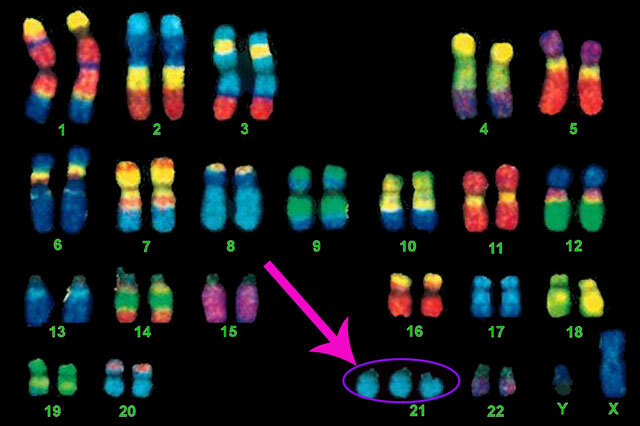 Using ourself as the measuring rod of what is considered “normal” or “typical.” The Bible does not say how many chromosomes make a person “normal” or “typical.” (and to be honest I’m not sure it really is that concerned with it. What’s The Bible is concerned with is not how many chromosomes a person has, but who made the person….which of course is God. And so while it’s interesting to think about these sorts of things….I like to spend more time helping people see that all humans are made in the image of God, and just because of that fact alone are valuable, important, and worthy of all of our love, and respect. Love your site and your enthusiasm. What makes Nordstrom so different from other companies is that they don’t pigeonhole kids with disabilities in “disability specific” advertising. For some reason, companies have no idea how to use people with disabilities without trying to take credit for some social cause. Toys R Us (thank God I’ve never seen this special needs magazine, because I would not have been as nice as you) makes me cringe. I’m thankful I am beyond needing their products because I don’t plan to step in there again. My goodness, it’s 2011, aren’t we beyond this stuff? @Valerie – thanks so much! I can’t wait to check out your blog as well! Yeah Nordstrom … no wonder I have always loved you!!!! @Hayden’s Mom….Noah’s dad likes them to! It was back in the late ’80’s or very early ’90’s that Toy’s R Us was putting “special needs” kids in the regular flyer ads. My nephew was 3 years old at the time and had cerebral palsy. He was a regular “model” for about a year. At that time, I remember a little girl with Downs being a regular as well. However, that’s a very long time ago and it’s about time they saw them as normal, regular kids and included them in their regular ads and not just “special needs” models. I have enjoyed reading Noah’s story. He has the most amazing eyes. And you are right – I have learned more about God through our little guy than all the Bible study I’ve ever done. (Not that that’s not important!) We have a theme song for Elijah – Uncle Kracker’s “You Make Me Smile”. I know. Real spiritual. I love this. In light of what has happened recently with GC Magazine it’s awesome to see a company use a child with Down syndrome as a model, being included with other kids instead of just using him for “special needs” things, like you and many others have said. I am so happy about this and hope that other companies do this in the future — for the right reasons and not just for marketing purposes. A few months ago, I saw a Pampers ad on the back of a Parents magazine with a picture of a baby girl with Down syndrome. I made sure that I got in touch with the company to praise them for that decision. As I did with Nordstrom. I got on their website and connected with customer service live chat and told them how happy I was to see this. As far as the “healing” of Down syndrome goes, my grandpa says he prays for God to heal j of Down syndrome every day because, “He has the power to.” I try to explain to him that He has the power to do anything He wants….but why would he create j with Down syndrome only to take it away? There is a specific reason j has Down syndrome and God knows what that is, even if we don’t. God made us in His image and likeness; some folks are really good at hiding it. The folks I’ve known with ds RADIATE it. Love it! Great looking jacket as well. Absolutely beautiful child! What a joy to see him included in the catalog! Brilliant, Nordstrom! Hey thanks! We think he is beautiful also….but…. Great blog post — darling boy you have with big blueberry eyes. 🙂 I’m happy to know that Nordstrom, a place I like to shop at, includes kids with Ds in their ads. I recently noticed Pampers doing the same with their ads. 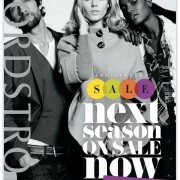 Good for Nordstroms for that ad! (What a darling boy!) and that picture of Noah where he’s looking right at the camera, smiling (brown cuffs on a mostly white jumper) — Oh. My. Goodness. WHAT an adorable, beautiful, handsome, wonderful child! He sure knows how to pull the heartstrings in pictures! I am happy to see this add with a very hamdsome boy, who happens to have DS, in it. I have a 16yr old sister, who also happens to have DS also, & she is honestly the most fashionabe amongst our siblings, which are all girls. She loves allll the things most other girls her age love, and takes about 100 pictures of her self a day, like other teen girls 🙂 because of this I wish she could look in one of her favorite magazines & see more people similar to her, not just in the childrens section, and not in a special needs edition. I think adding people with DS into main stream media will help to educate us a country 🙂 my 2¢. I also love reading of your faith – and seeing your replies to comments where you share your belief in God. I will be back. . . ! Glad to meet you on here! Ummm…. can you see me giving you and this post a standing ovation?? Okay, so I am not really standing up applauding but I feel like it, I could not agree more with EVERY word you wrote! ….Your son is absolutely beautiful and I am so glad to have found your blog! Lakeshore is another company that does a special needs addition from time to time and my son is on their “list” to be called when there is a need but this post has prompted me to push to see if they will place him in one of their other ads… thanks for the prompt! …and Nordstrom, you will continue to siphon money from my pocketbook not only because of your fabulously cute clothes but because you have it right in the “inclusion” department! Kuddos! Reading your blog brought a tear to my eye. Being a mom of a child who was born with some facial anomilies, this makes me SOOO happy! Children are such a gift! Those of us who watch them struggle to just fit in, and know that they are just the same as every other child are so proud of them, period! My daughter is now 23. After 15 surgeries, she still gets some glares, but she has far surpassed anything I could have ever asked for. She is now finishing college working with Special Needs Children. Noah will rise to great heights thanks to the fabulous parents you are to him. I have always said that the reason I was born, was to be my daughter’s mother. I’m sure you feel the same way about your son (and other children too?). God gives only some of us more precious gifts to raise. You are truly lucky to have him. He’s beautiful!!! I’m new to your blog and enjoying the various threads of discussion. The little “hipster” in the Nordstrom ad is our 6 year old son Ryan. We are very pleased that Nordstrom placed Ryan in their catalog. The whole process of modeling is an extreme confidance booster for him. He received so much warmth and caring from the Nordstrom crew that he thought they were there just for him! We are honored that Ryan is making the Down Syndrome community proud. He is a beautiful boy inside and out. He makes us better parents, and a better family. Our children with Down Syndrome are amazing! So many have had huge health obstacles to overcome from the very beginning of their lives. We, their families, know how far they have come, and how much more is ahead of them. Every day is a journey, and a celebration. We will pray that Noah’s heart heals on it’s own. It happens all the time! Hi Noah’s family. YOu aren’t just making the Down Syndrome community proud. All of us who have special children our very proud as well. I love that he wasn’t singled out as well from the others….BEAUTIFUL. He brought a smile to my face instantly. I saw it on a post that ESpecialNeeds catalog did on FB. Love it and grateful. Rett Syndrome is my life but special kiddos all tug at my heart. Happy New Year and prayers for Noah and his health to get better and better. This is a wonderful site that a great friend of mine shared with me. Like you, we have a child born with Down syndrome. She is now 16 (almost 17) years old and is doing wonderfully in her high school. This year she will have prom and many other momentous occassions that I might take for granted if she didn’t have Ds. In “Bethy and the Mouse” book, there is a part that the dad said something like if they would have been asked for their daughter to be born without Ds they would have said no but they would have missed out on all of “this.” I have always held that thought dearly. We are part of a unique world where I hope I am a better person, my children are better people, and the people that know our daughter are better people. Thank you for sharing this ad with us all. Applause to anyone that celebrates Down syndrome for it’s beauty and it’s prescence in our world. Rick! I didn’t know you had a son! He is adorable! I love his pics. So glad to have found your blog. I whole-heartedly share your perspective on what to pray for our kiddos and am so thankful for fearfully and wonderfully knitting my son! Look forward to reading your blog! We, too, have seen ads in the Toys R Us regular catalogs with children with a variety of challenges, both mental and physical. We wrote to the company to praise, thank, and encourage them to continue to do this. We will write to Nordstrom’s too, now that we know they are seeing our children as “regular” people! I have a beautiful daughter with Down Syndrome. She is perfect in every way. Just like my typically developing son. I believe if “we” spent more time focusing on life in every positive and faithful way we would all get more accomplished. There’s no need to distinguish differences as we are all different. Lead by example and don’t waste time on the negatives/discriminations that You think are occurring. I rarely hear the “R” word and don’t really care that ignorant people use it. Proceed in your life with ambition and focus on what you can control right within your home and with all your beautiful babies. Our children are “regular” people…it seems to me it’s many of the parents with kids with Down Syndrome that keep pointing out the differences. Think about it! You “rarely” hear the “R” word? I’d like to know where you live, because I want to move there. We hear it all the time, and it’s so frustrating to know that these ignorant people think that it’s okay to use it! I care that ignorant people use it, because they are teaching their children and their children’s children that it’s okay to denigrate a vulnerable section of the population! Love seeing more companies branching out to have those kids/ adults with special needs in them. They deserve to be there too! ALso…that picture of Noah! It’s darling!!! He’s adorable. I’m not able to keep up with your blog like I’d like but I check in now and again…found it not long after he was born. He is a little younger than My Ava. Keep up the great work with Him. SO blessed to see him doing so awesome! I have met Down Syndrome Adults I like better than others, they are sweet, never take any guff off of anyone, will do anything for you and make you laugh a lot. They are just as intelligent as you are, sometimes smarter! I know one thing they are kinder! I found your blog through the MSN article about Noah’s Target ad. This is awesome! Congrats to Noah on being such a star, and congrats to Nordstrom for casting such a cute model! My brother has DS, he’s 21 now, but I remember when he was born, I had never even heard of DS. Back then the Internet wasn’t even mainstream, so it wasn’t like we could just “google” it. I love when companies/organizations aren’t afraid, and treat people with DS just like they would anyone else. Kudos to Nordstrom! I was thrilled to see you son’s picture in the ad. I hope and pray that store begin to use more of our children in their ads and catalogs of all age groups. Ryan is very handsome…Love It. He is so precious!! Good job, Target. That’s LOVE. Nice, I bookmarked this page on Digg under “Nordstrom Treats Children Born With Down Syndrome With Dignity”. So hopefully our friends can give you a visit. Thanks. Congratulation for your courage and thank you to open the eyes to many of us. I am convinced that every children with Down Syndrome have a special message, an awakening call to all of us, that to have “success” and be “perfect” in this life is not the most important, but to love and help each other, that is the best way to make heaven on earth, and to reach aeternity. “Perfect” people are often proud, difficult to live with (see so many divorces in holiwood “model” lifes). Every kid with Down syndrome is like a permanent Christ baby with the open arms waiting for our answer, to close or open our hearth and my to others. The real “perfect” people are the one that imitate our father in heaven that makes the sun shining for all, that loves all. I would love for GQ to issue an alpoogy in their next printed issue. That would be fabulous. Until the next issue is out. . . As for The Change Up–they are deleting my post like crazy. I feel like a stalker. A friend just gave me the Star and I googled you right away, what a great story and blog! Our son Jake is sixteen and what a fabulous journey it has been. He is hilarious, smart, kind and very sensitive and I am very proud to be Jake’s mom. He has two older sisters, Daryl and Amanda ( who are away at university) they text him every day and they tell him the hardest thing about being away at school is not seeing him every day. I can understand how people think,it was not always like this. At the very beginning when Jake was born we were all afraid and unsure of the future, the journey has not been anything like I imagined just sixteen great years with Jake that I would do over again in a heartbeat….. This made my day to see the Nordstrom ad! In my opinion DS children are the cutest most adorable children. They have a glow about them that comes from the inside! Way to go Nordstoms. Way to go Noah’s dad, your blog is great! I myself have a 2 yo son with DS and he is the absolute Joy of my life! God thought us very special to entrust us with these sweet souls! He has gotten so big. Oh my God! I keep thinking that he is still a baby. He is going to be a heart breaker. Too cute! This bring tears to my eyes. You go Noah!